The RV Clinic services trailers and mobile vehicles in the Dayton and Cincinnati area. Call 937-550-0078 today for RVIA-certified RV generator repair services and more! Putting the Fun Back in Camping! Planning for that much-awaited road trip with your family or friends? Count on The RV Clinic to get you where you need to go. Our commitment to exceeding our customers’ expectations sets us above the rest. As Franklin, Ohio’s premier RV Repair Shop, we specialize in a variety of recreational vehicle, travel trailer, and mobile home repairs and services. Our certified technicians service all brands and models of motorhomes, campers, 5th wheels, and travel trailers. Since we began in 2013, we have remained dedicated to providing quality workmanship for our clients. Although we don’t take any shortcuts, we also keep our rates affordable! The RV Clinic has the expertise and equipment necessary to keep your RV running strong when you need it. For RV roof replacement, travel trailer plumbing repair, and more, call us today at 937-550-0078! The team at The RV Clinic is made up of RVIA-trained and certified technicians with years of valuable experience. Whether you need RV painting, floor repair, custom furniture builds, or even RV generator repair, we will get the job done right. With years of experience, our shop will ensure your RV is in its best condition to get you to your travel destination. No matter the brand or model of your recreational vehicle, motorhome, camper, 5th wheel, or travel trailer, The RV Clinic has the right equipment and the dedicated experts to handle any repair job, large or small. Look no further than The RV Clinic for RV bodywork, camper awning repair, and more in Franklin, OH! 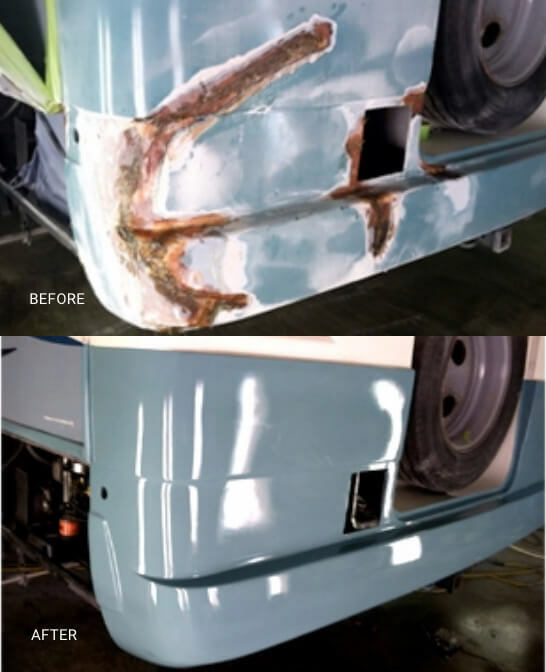 We are your trusted RV Repair shop – get back on the road quickly with our efficient services! Call us today at 937-550-0078! Josh and the team at The RV Clinic do an outstanding job. I will only take our RV to Josh for service. Josh and his crew were great to work with. Needed extensive floor repair and he took the time to fix a couple other items as well. Will consult him and his team in the future for service and purhcases. Josh and his team did a great job in helping us replace our awning and other incidentals. Would highly recommend their services. The RV Clinic is Franklin, Ohio’s reliable and efficient RV repair shop specializing in motorhome repair and recreational vehicle services. Since we began in 2013, our RVIA-trained team and competent certified technicians have provided only the highest-quality workmanship. No matter the weather or the damage, count on The RV Clinic to get you back on the road!